TURN YOUR LATEST LOOK INTO A CUSTOM FASHION SKETCH. Explore the new home page to find out what’s new and trending. View new Chic Sketches as they come through the feed and watch them being created by taping the video button on the sketch. Scroll through the new slider where you can get the scoop on promotions, events and all that’s chic in our world. Capture a photo for your Chic Sketch by using the camera button or pull from your phone’s photo gallery. Strike a pose and send your photo of your outfit off to our team of fashion illustrators, ready to turn you into a sketch. Tag your Chic Sketch with brands and events. Tap to add tags and see what trends in the app. You can tag things like companies, designers, holidays, events and more. Tap the trending hashtags on the explore page to be directed to a feed of what’s new and exciting. 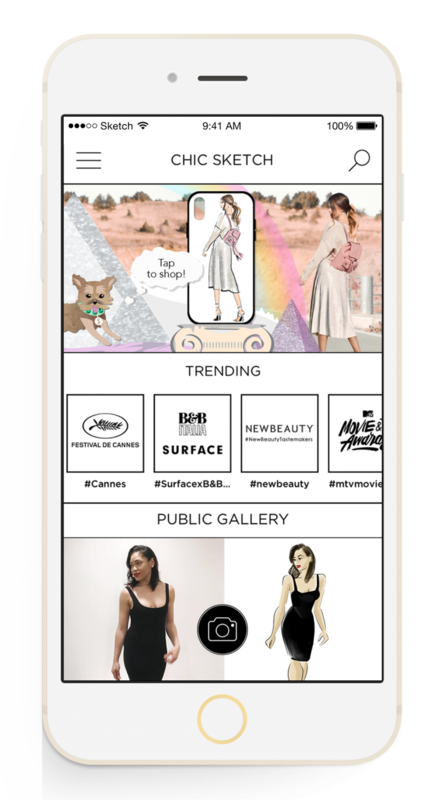 Scroll through the trending feed to discover Chic Sketches from insider events and categories. 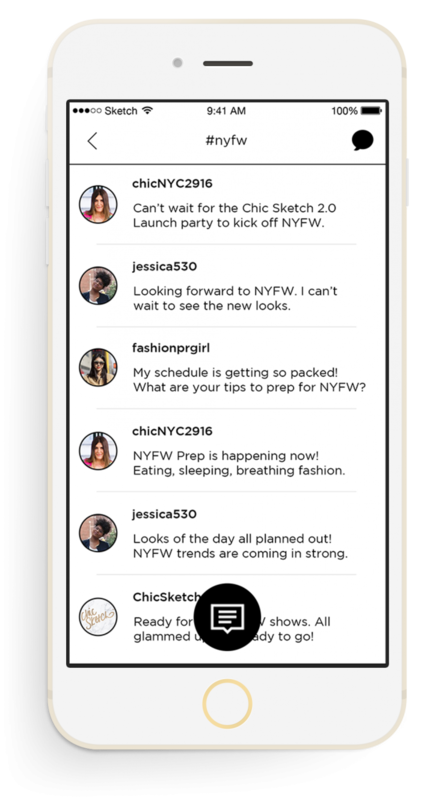 Once in a trending tag, tap the Chat icon to share your fashion expertise with our fab Chic Sketch community. Want to know how you got so chic? Tap the video on select sketches to watch our newest feature: fashion sketch time-lapse videos. Enjoy! Appetizer Mobile, the leading mobile application development agency in New York City has created the most “Instagramable” and share-worthy app with Chic Sketch. 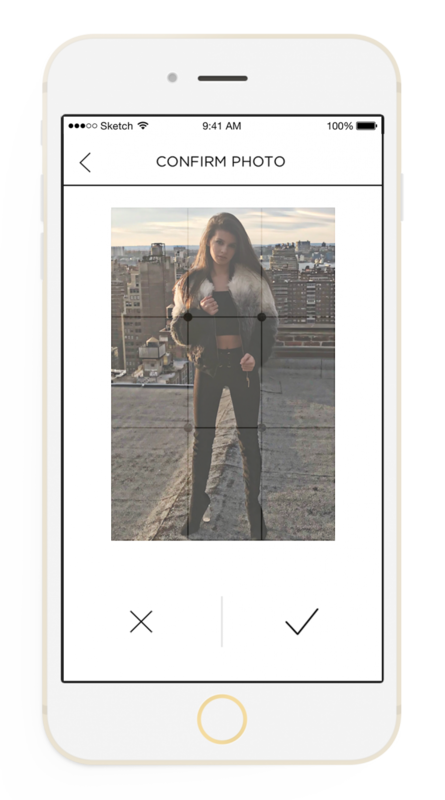 This fashion forward mobile app allows users to have a quick sketch of their latest “outfit of the day” (OOTD) and share through social media, email or text. 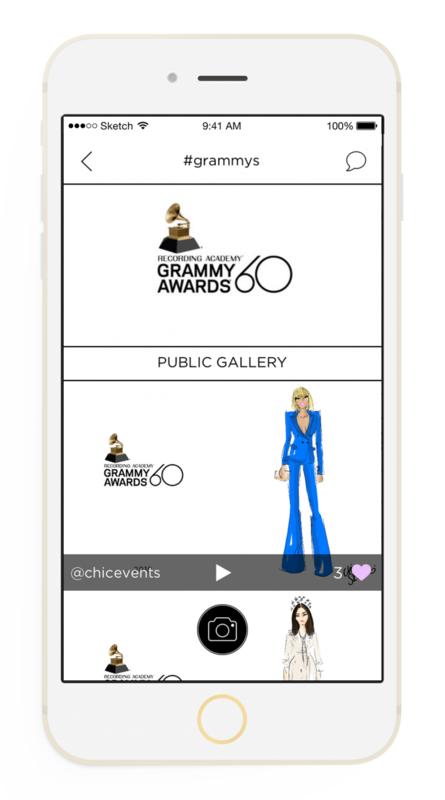 Chic Sketch is available on the Apple app store and Google Play for iOS and Android devices and launched during New York City’s Fashion Week. 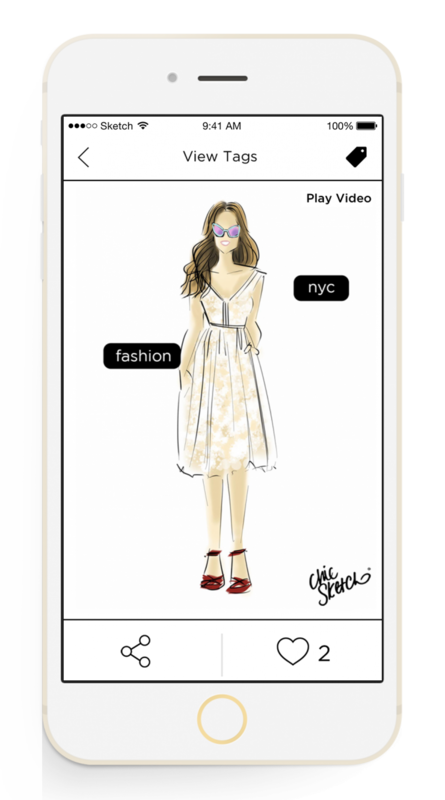 Chic Sketch is the brainchild of Jordan Edelson, CEO and Founder of Appetizer Mobile, and Emily Brickel Edelson, a published fashion illustrator, fashion designer and entrepreneur. 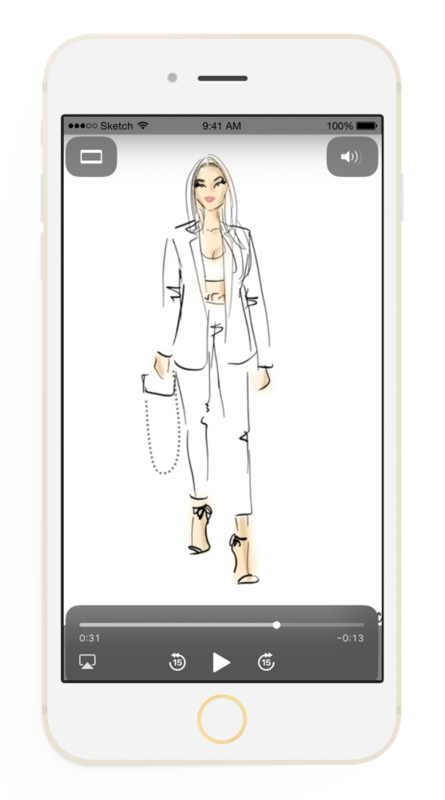 Users simply upload a photo of their best look of the day and will receive a custom sketch drawn by a real fashion illustrator. No two sketches will be alike since each is made to order. These hand drawn sketches will be created in a quick fashion illustration style, resulting in an original work of art that is created custom just for you. Emily Brickel Edelson is a published Fashion Illustrator, named one of Who What Wear’s Best Fashion Illustrators and commissioned to sketch for top-tier fashion editors, publicists, musicians and celebrities. Her sketches have appeared in the magazines Vogue España, Elle Mexico, Allure, InStyle, People Style Watch, Seventeen, and Golf Digest, on fashion blogs and websites like WhoWhatWear, Bustle, Refinery 29, StyleCaster, AOL, Hollywood Life, Radar Online, Huffington Post, Today, The Style Line, Daily Candy and Shop It To Me among others. In 2015, fashion marketplace Bene Rialto featured a custom life-size sketch as part of a permanent full-length window display on 38th and Fifth Avenue in New York City. Jordan Edelson is an award winning “Forbes 30 Under 30″ seasoned entrepreneur, CEO and founder of the groundbreaking and globally recognized Mobile Digital Agency, Appetizer Mobile.  Mr. Edelson has been acknowledged by the Wall Street Journal, Inc. Magazine, Time Magazine, Forbes Magazine, The Doctors and many other large publications and syndicated broadcast media. Mr. Edelson prides himself on his ability to innovate and ideate new concepts in the mobile space. LUXURY CHAPTERS: EMILY BRICKEL EDELSON DEBUTS A FESTIVE CHIC SKETCH FOR EXCLUSIVITY ISSUE! This just in: We’ve launched our new Chic Sketch e-store! Difa: Japan Loves Chic Sketch! #WARDROBEUP Event with Macy’s, Michael Kors & Marie Claire! Facebook Live with Life & Style to sketch Oscars looks! Facebook Live With Elle Magazine! @sarah_kelman: “I loved the fashion work <3 @chicsketch"
@instylegermany: “We <3 @Chicsketch – einfach Foto hochladen und schon habt lhr Eure ganz personliche Fashion-Skisze wie ein Street-Style-Star #ChicSketch #CaraDelevingne #InStyleGermany #InStyleCover #FashionSketch @emilybrickel"